You may have seen the new Kinvolved identity on our website, app and other Kinvolved materials. We want to officially introduce the new brand identity design, and also to describe the process we followed to arrive at the end result. We started our rebranding process because we wanted to to tell a better visual story of our brand and our mission. We performed an audit of the logo and branding to determine what was effective and what we could improve upon in our brand representation. We assessed our “brand values,” and we determined that our brand embodies presence, engagement, community and simplicity. We wanted to create an identity that fit these brand values, and we frequently referred back to these values during the design process. We began with the issue on which we are making the strongest impact: student attendance. Our app helps teachers engage with families to make sure students attend school on time every day. We started with our brand values and the functionality of the product. The goal was to convey family engagement as a method to drive increased student attendance. 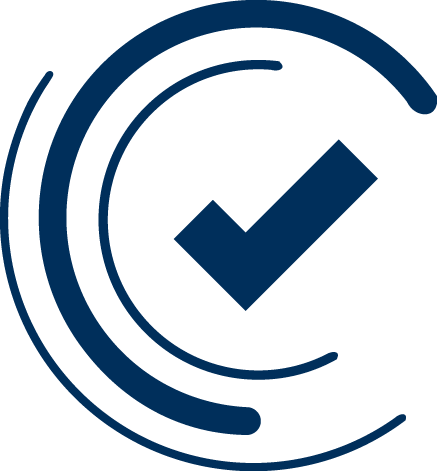 We liked the idea of incorporating the check mark into the new mark, as we felt it represented not only attendance, but also our brand values of simplicity, ease of use, and positivity. The interaction between families and school staff is constant and vital, so we incorporated the rings around the checkmark to represent each of the four prongs of the brand values. We also put thought into the positioning of the rings, and opted to have the rings settle under the checkmark to convey the idea of support. We determined that this gave the overall logo a good visual balance, with slight emphasis on the name, rather than the logo. We connected the rest of the name with “kin” to represent the idea of engagement and closer working relationship between schools and “kin” to drive students’ success. To further illustrate the the perpetual cycle of communication, we set the rings in motion. This satisfied another of our goals: to ensure that the brand identity would work in different media and circumstances, from printed materials to web and video. We looked for colors that were fresh, fun and vibrant, but also friendly. We chose a blue, as it is associated with calmness, success, security and trust. It is also a traditional color used for typeface. The blue is used with the teal hue, which is also vibrant and represents freshness and renewal, as our product is a new solution to tackle an existing issue. Red is typically associated with energy, excitement and action, but also danger; so we worked on a shade that summons the positive associations, while reducing the more dangerous associations. We welcome your feedback. Please contact me at runy@kinvolved.com. Runy Pswarayi is a Designer at Kinvolved. Runy has freelanced as a designer and photographer for various non-profits in the US and Africa. He holds a BSc. Honors in Economics from the University of Zimbabwe and an MSc. in Information Systems from Strayer University.